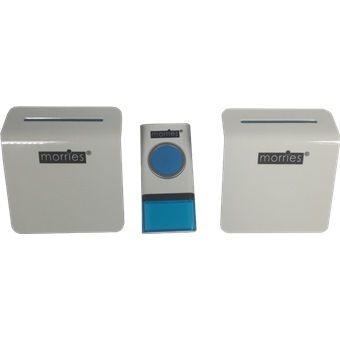 MORRIES WIRELESS DOOR BELL(DOUBLE)BS PLUG TYPE B288-2 is rated 3.0 out of 5 by 1. Rated 3 out of 5 by Anderson65 from Good service; weak product Horme was fantastic in delivering quickly and efficiently. However, the products battery cover was very fragile and broke off in a minute. There were no specific instructions or arrows on the device with guidance on how to open.